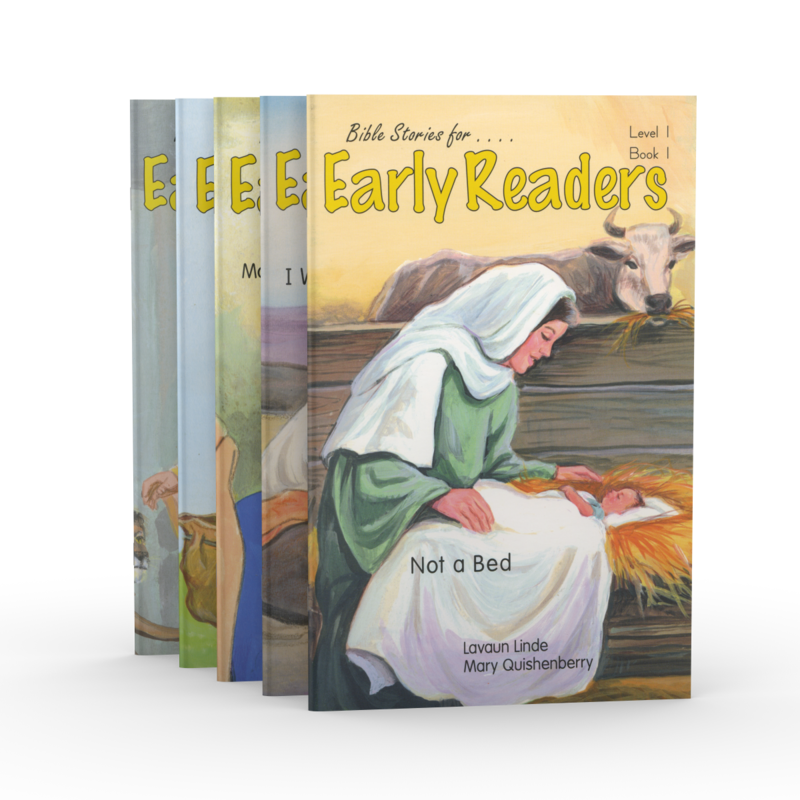 Early Readers Level 1 is a progressive word building series that uses short vowel words to retell much-loved Bible stories. Each of the five books in the set is colorful, softbound, and age-appropriate for those learning to read. Includes new words at the beginning of each story and comprehension questions at the end. 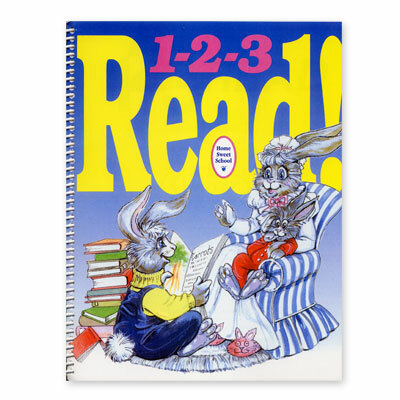 Weaver 1-2-3 Read! begins with reading readiness, progresses to teaching the alphabet and phonics, and results in independent reading. The Weaver 1-2-3 Program includes a teacher's handbook, one student workbook, a flip chart with reading activities and song lyrics, and music recordings. 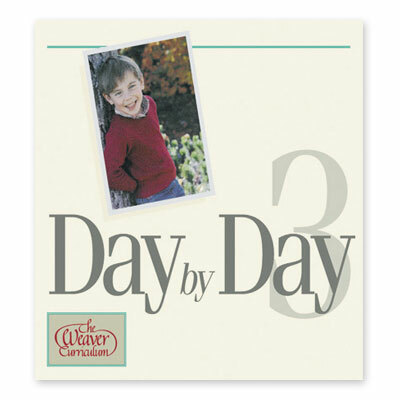 Easy-to-use lesson plans, games, and activities are included for preschool and kindergarten. Weaver 1-2-3 Read! Student Workbook includes puppets, stories, and visuals for learning phonics rules. Student workbooks are consumable, so you'll need one copy per child. This workbook is part of the Weaver 1-2-3 Read! Program that includes a teacher's handbook, a flip chart with reading activities and song lyrics, and music recordings that will help your child love learning to read! 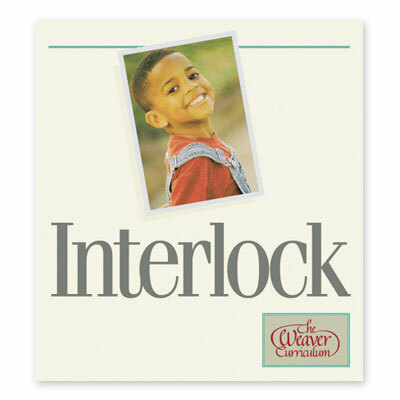 Interlock is a hands-on program for children in preschool and kindergarten. The lessons are already planned and presentation techniques are given. Covering Creation through the Flood, Interlock sets the stage for a solid foundation in biblical knowledge. Early Readers Level 2 is a set of five books that begins with vowel blends and progresses through to silent e words. Each book is colorful, softbound, sturdy, and age-appropriate for those learning to read. New words are included at the beginning of the story and comprehension questions are at the end. Anatomy comes alive with this fun activity! Children will make a life-size replica of the human body—organs and all. This project-oriented activity teaches not only placement of the body's organs, but also how to follow directions. 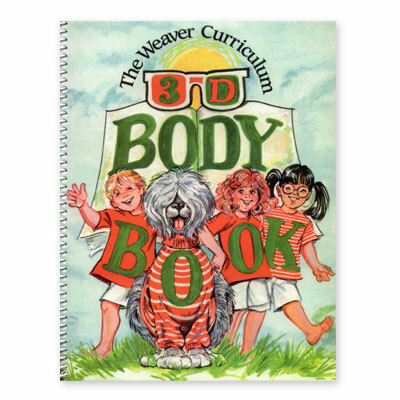 The Weaver Curriculum® 3-D Body Book includes project instructions, a supply list, and patterns. How do rocks, architecture, and your city tie together? Communication, sound, and eye care? Transportation, money, and war? These are just some of the topics covered in Weaver Volume 1. If you had to teach about these topics, how would you integrate them, or transition from one to the next? For the answer, read on! Although it's possible to teach from a Weaver Volume without pre-planning, you'll find that your day goes smoother when you plan ahead. When you have multiple grade levels (and topics) to teach, the structure of a pre-planned lesson offers peace of mind. Rather than plan your own lessons, let Weaver do it for you! The Weaver Day by Day isn't a boring schedule of when to teach the various objectives within the corresponding Volume. Each day offers a "Thought for Today" to encourage you, a list of resources (books and supplies) for teaching, creative writing prompts, and space to record math and phonics/reading assignments. When you homeschool using a unit study approach, each unit will cover three or more topics. How do you pull them all together? 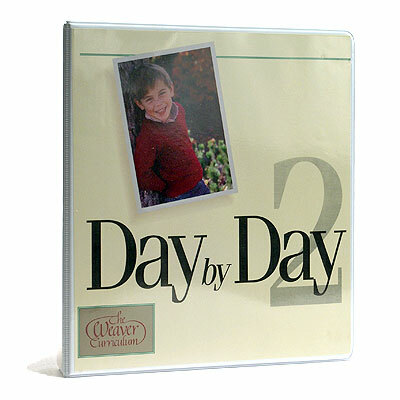 The Weaver Day by Day pulls every topic together by focusing them all on the Bible. The result? A biblical worldview. 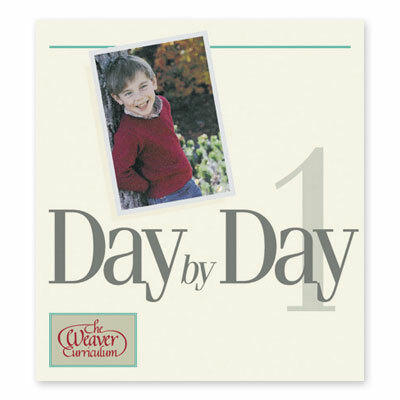 Weaver Day by Day takes the work out of lesson planning. It also gives an encouraging "Thought for Today," a resource list of books and supplies, creative writing prompts, and space to record math and phonics/reading assignments. This book is a must-have for anyone using a Weaver Volume. Weaver Kindergarten Penmanship to Praise encourages the natural progression of large to small motor development in young children. 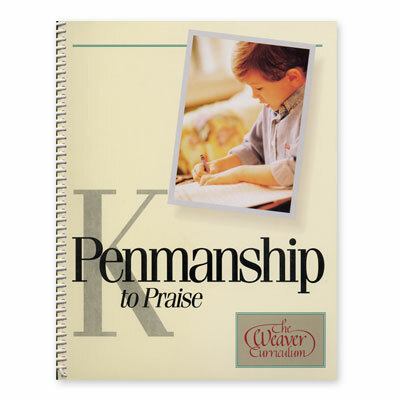 All necessary teaching instructions are included in this consumable program to introduce your child to daily writing. May be used independently of The Weaver Curriculum®. 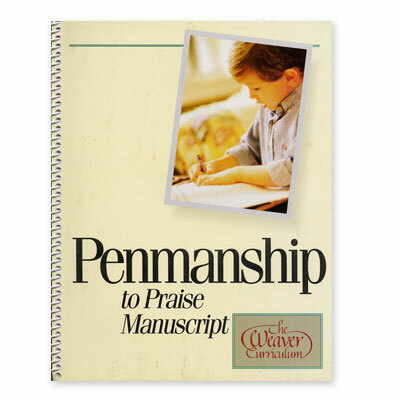 Weaver Penmanship to Praise Manuscript takes your child step-by-step through the writing process. With three sets of lines for your child to work through, this program is designed to encourage the natural progression of large to small motor development in young children. May be used independently of The Weaver Curriculum®. Weaver Review Questions Volume 1 will help you grade your child on the topics they studied. Quizzes, fill-in-the-blanks, and matching are just a few of the ways you can find out what they learned during the year. Questions are divided into grades 1 & 2, 3 & 4, and 5 & 6, and divided by subject like the Volumes. Unlike traditional forms of homeschooling, unit studies do not usually come with tests. What happens when your state or family asks for grades? 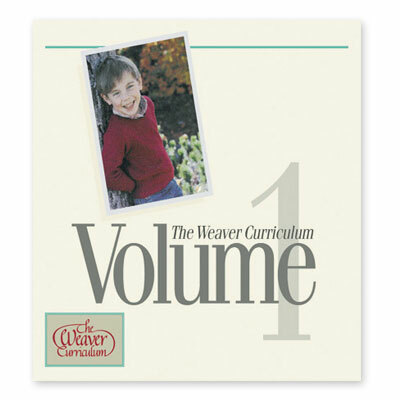 Weaver Review Questions Volume 2 allows you to test your child and assign letter grades. Fill-in-the-blank, multiple choice, and essays are used. Weaver Review Questions Volume 3 will help you quiz your child, either formally or informally, to discover what information has been retained. How much did they learn during Bible time, social studies, science, and language arts? Questions are sorted by subject and grade (1 & 2, 3 & 4, and 5 & 6) to assist the homeschool parent. You've done the activities, discussed the issues, and now you're ready to review the material with your children. No problem! Weaver Review Questions Volume 4 will assist you in finding out what your children know. Geared for grades 1-6, and divided by subject, for ease of use. As you study the life of Christ, take time at the end of each chapter to review what you've taught your children. 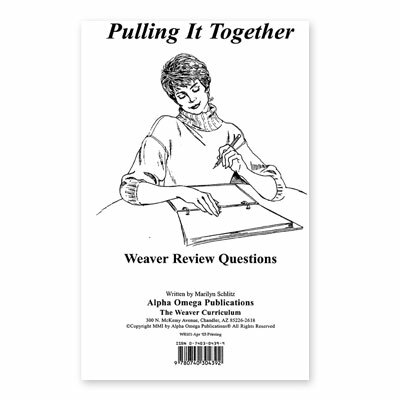 Weaver Review Questions Volume 5 has questions in multiple choice, fill-in-the-blanks, matching, and more. Like the main Volume, the questions are divided into grades 1 & 2, 3 & 4, and 5 & 6, and also by subject. 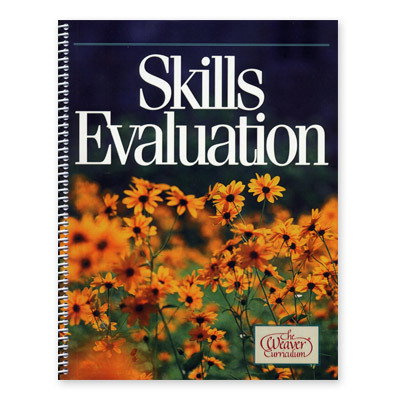 Skills Evaluation is designed for the homeschooling parent to learn the strengths and weaknesses of their children in each grade. Grade level requirements for social studies, science, language arts, math, and health and safety are listed. May be used independently of The Weaver Curriculum®. 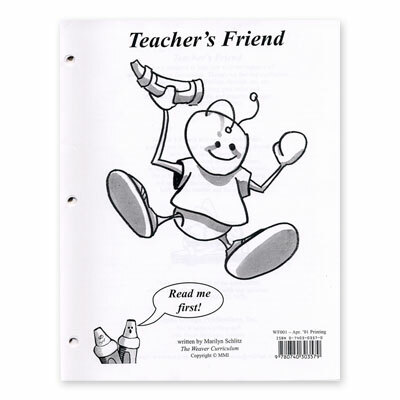 Because learning how to use unit studies can take time, Alpha Omega Publications has created Teacher's Friend, a little helper that can make the difference in getting started with The Weaver Curriculum®. Teacher's Friend gives instructions for starting your homeschool, from opening the binders to opening minds. 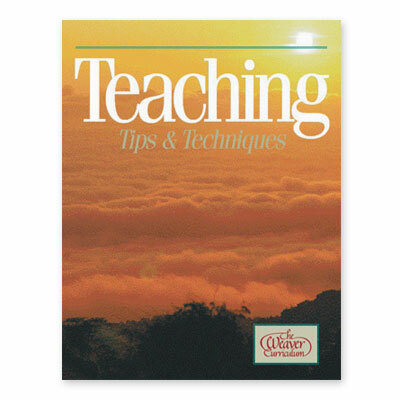 Weaver Teaching Tips & Techniques is a training book for the homeschooling parent. Packed with tips on how to teach, when to teach, and why to teach, this book is a must-have for beginning and veteran homeschool parents alike. Personal support, reading lists, and charts are all included to assist you in educating your children. 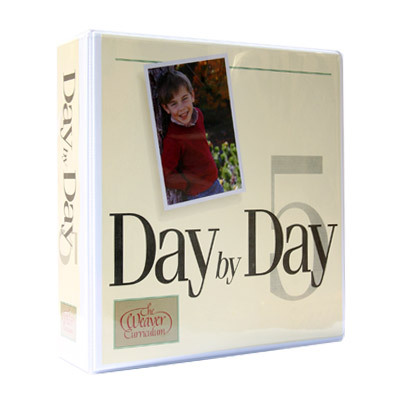 The Basic Five is a starter package for families who desire to begin using The Weaver Curriculum® for the first time. 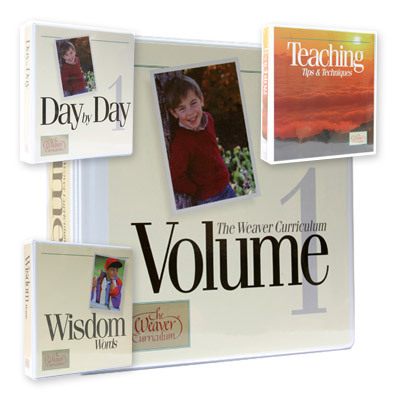 Save money when you purchase this comprehensive kit that includes Volume 1, Day by Day 1, Wisdom Words, Teaching Tips & Techniques, and Skills Evaluation, plus a free Teacher's Friend. Weaver Volume 1 will take your child from the basic architecture of city buildings to the amazing layout of the solar system; from the water cycle to the life cycle; from transportation to preservation. 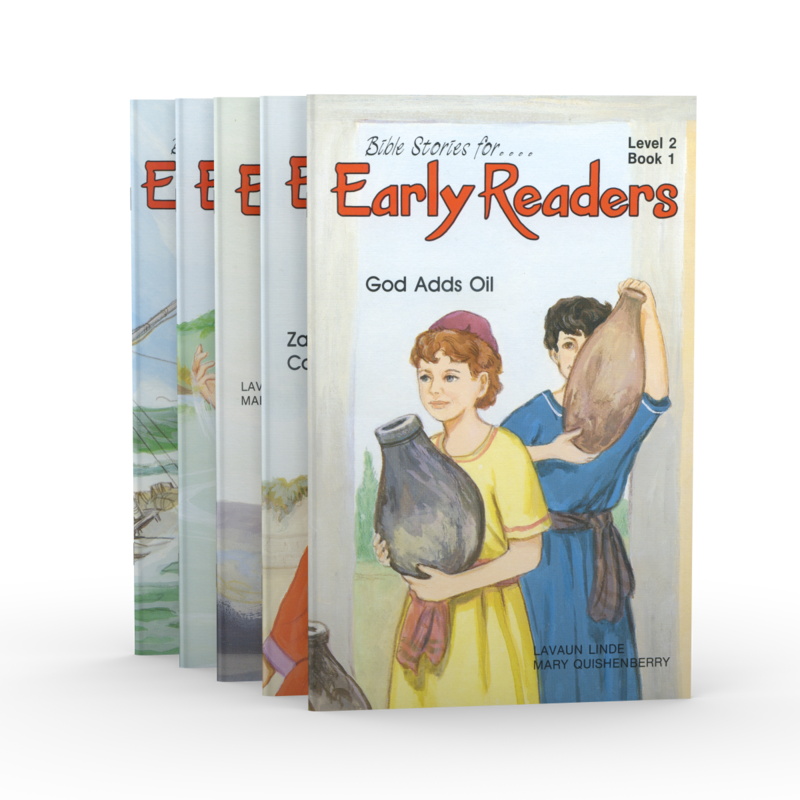 Hands-on activities and in-depth discussions make this Bible-based curriculum a good balance for any child's learning style. 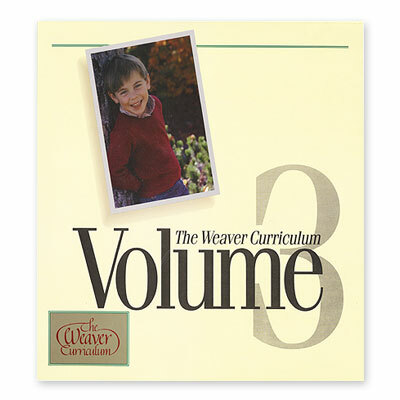 Weaver Volume 2 includes a unique study of character traits at the end of each chapter, making the hands-on activities more personal for your children and allowing them to retain more of what you teach. The unit on celebrations allows you to focus your studies on your family's personal beliefs and traditions. 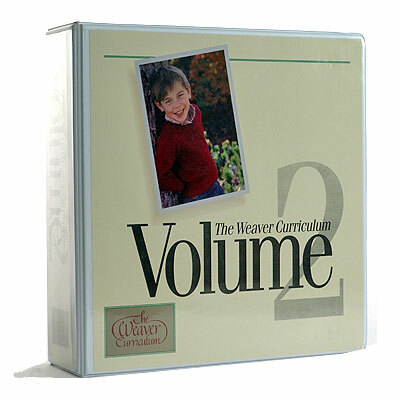 Weaver Volume 3 Bible studies pick up where Volume 2 leaves off. Journey through the exploration of the Promised Land as American settlers explore the West. Learn about the recording of history while studying the natural passage of time. Discover the steps of reasoning while studying how the human brain works.